A little better research was done before we hit another trail. This one was a vast improvement. 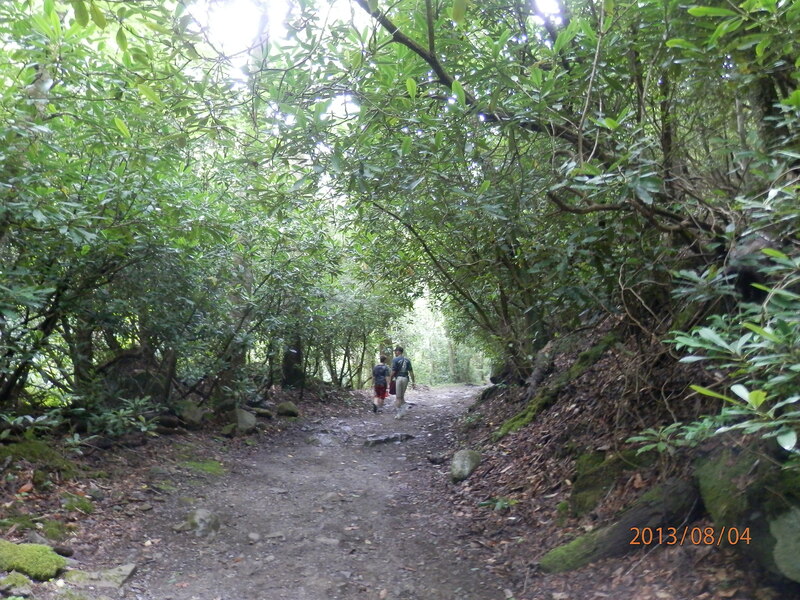 The trail ahead was much easier than the one before. I was able to breathe and not labor, as we trekked upward to the promise of yet another waterfall. The view of God’s creations were around every bend. The roaring of water rushing down the creek gave glimpses of what was ahead. Butterflies floating around by the water’s edge gave a beauty of their own. The coolness in the air embraced the beauty all around. The mountain showed its power and its weakness. After years of standing strong a few trees now lay on the ground covered in moss and rotting. A blanket of green rippled in the breeze, ushering a welcome to everything. 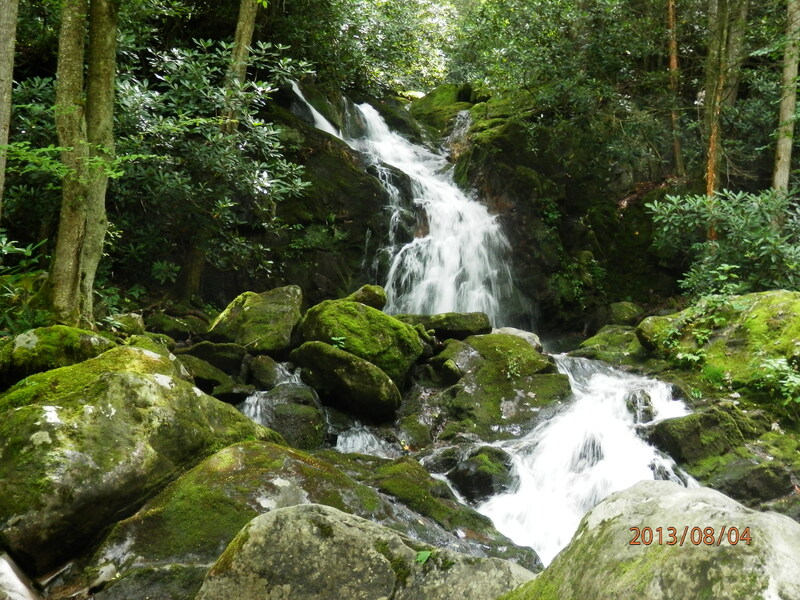 Streams of water trickled down the mountainside to join with the creek, continuing its downward flow. At last we had arrived. The promise fulfilled of a cascading waterfall, grand and might. We breathed in all that God had to offer with this beautiful display and then journeyed on back. On our journey downward, our first stop revealed a tiny calm spot. After enjoying the beauty and watching our son swim, I went to gather our belongings. As I reached down I had to stop and marvel at the gift that laid before me. A large, brown butterfly had decided to camouflage himself on my purse and needed much persuasion in leaving. The final stop before leaving this trail had an invitation of its own. Here in the creek is what locals call “Midnight Hole”. It was a pool of water created between a few large boulders, as the creek spilled into it. A few daring souls ( our son for one) made their way to the top of these twenty-foot boulders and jumped into the icy water below. As a mom of a preteen, my heart was racing til he made it to the safety of the pool below. After soaking in the beauty that surrounded us we headed back to the car. Our vacation with God proved to be uplifting and renewed my soul. I long to stay but the reality is that it was a vacation. A vacation where memories were made and to be treasured. A vacation where I opened the eyes of my heart to a view of a grand and beautiful world that God created. As David said in the Psalms.